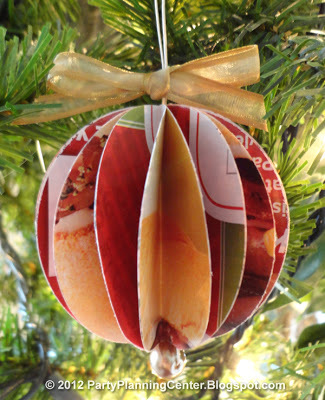 Today we are continuing our Christmas 2013 Upcycled Decorating series with a link to this great tutorial. We love how colorful and practical these ornament are. Made from the plethora of junk mail we seem to get this time of year, it is a great project. I would love to see an entire live or potted tree decorated with all upcycled and recycled ornaments. These would be perfect! Click here for the complete picture tutorial.